The London Underground, or ‘Tube’ as it came to be known, officially opened its doors to the public in 1863. London was the largest city in the world in the 1800’s, and in the early years, London’s transportation was based on horse-drawn trams and carriages. The Traffic Congestion Commission in 1855 decided they needed an underground route to help alleviate traffic. At the end of the Crimean War, Parliament voted to open a new sewer system to help reduce the cities waste problem. Because of this, British engineers became very advanced in tunneling. Initially, the railway circled the city but wasn’t running directly into the city’s core, so it wasn’t very good at reducing traffic congestion; it meant more people were coming into the city, and this increased traffic delays. The first tunnel was built using a cut and cover technique. This style of tunnel building requires you to cut deep into the ground and then build a tunnel. Once you have built the tunnel, you then cover the channel back up. Building the tunnel was an expensive endeavor. Once the tunnel design was agreed upon, the next issue was to figure out how to ventilate the trains while in the tunnel. It was decided that a special condensed steam engine would be the new form of transportation. This was the first underground railroad in the world, and it was very popular from the first day it opened. It quickly expanded from this point. The success led to the opening of the District Railway in 1868. The concept was a success, but the building technique was too expensive and too destructive for London’s center where real estate was worth millions. The invention of the tunneling shield allowed miners to work safer and more efficiently. This greatly reduced the time spent on tunneling. In 1887, electric tramways became popular and were a solution to the ventilation problem. The Americans financially backed three new tubes built in London. Tube railways were the first railway system that did not have a 1st, 2nd, or 3rd class. This meant people from all walks of life traveled together. In WWII, the Underground was of special importance. It was fitted with flood gates in case it was bombed, and the Thames River breached the system. People by the thousands sought shelter in the tubes during Nazi bombing raids. They were used as a subterranean factory. Supplies poured out to allied forces from these protected bunkers. There is so much history in the London Underground, and the more you learn about it, the more you can appreciate the sacrifices that went into making it a reality. 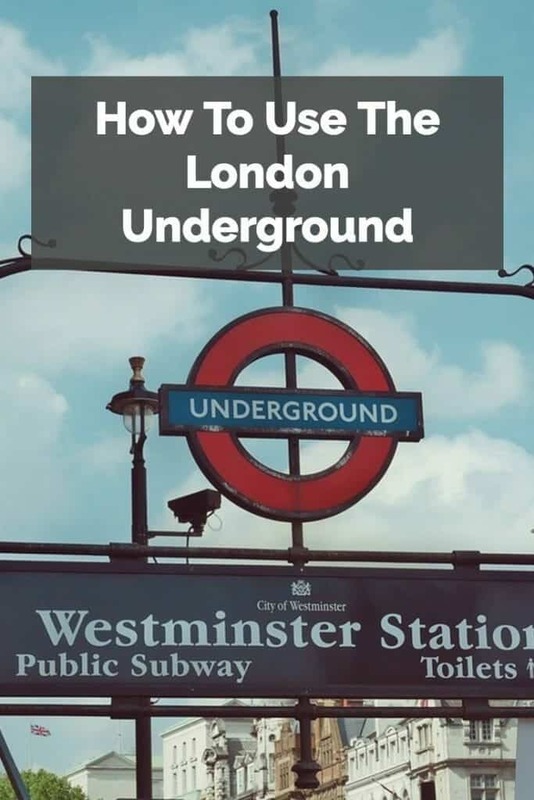 It’s easy to use the London Underground, and the rides have been divided into zones to make things even easier for you. Zones also determine ticket prices, so you know how much you are going to need for your trip. Once you pick the right route, you can buy your ticket with cash or Oyster cards pay with coins, cash, or debit right at the station. You can establish where you are on the maps at each station. This way you can keep track how long you have to ride the train till you reach your destination. Check to see if you have to change trains and remember whereas you don’t want to miss your train change, which can add delays to your journey. It is best to establish a route and stick to it. Once you have a ticket, look for the line and color of your train at the station. Some lines have multiple routes and destinations so make sure to check the information panels. This can all be done via the internet as well. After you have your route picked out and your ticket in hand, you are ready to board your train. Remember, keep an eye out for your transfer, so you don’t miss your train. Always double check the destination on the LCD displays hanging from the roofs of all the stations. Now just sit back and relax, and you will have completed your journey before you know it. Make sure to hold onto your travel card as it is good for the rest of the day.